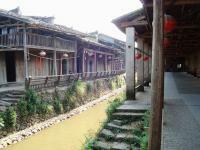 6km east of Wuyishan City (8km away from Wuyishan Scenic Area), Xiamei is a peaceful village of about 500 household (population: 2500). 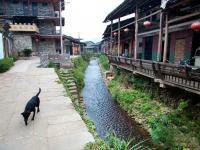 Xiamei Village is named after a streamlet called Mei Brook flowing through it. It was said to be first built in Sui Dynasty (518-681 AD), gradually developed after Song Dynasty, and flourished in Qing Dynasty (1616- 1911 AD). 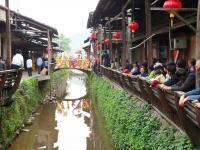 Up to now, it still boasts some spectacular historic Qing architecture from its heyday as a wealthy tea-trading center. The civil architecture here is prestigious for the delicate brick carving, stone carving, wood carving and colored drawing walls. Most of the fine carvings were inspired by the historical figures, myths, legends, folk mascot and all sorts of flowers. 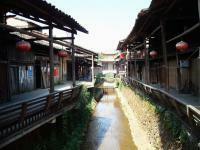 Many houses are more than 300 years old, and still well preserved as they were long time ago. 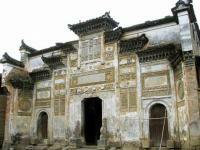 Among them all, the Ancestral Temple of Zou Family is a masterpiece and the finest example of local ancient architecture. Bricks and wood constitute the main structure of the civilian houses. Many of those firewalls have been painted in two consecutive layers that are still lavish and vivid several hundred years later. In addition to the enchanted historical architecture and cultural inheritance, Xiamei Village is also widely known for its tea culture. 150 years ago during the Qing Dynasty, famous Jin-Merchant (the largest merchant group in Ming and Qing Dynasties) took a fancy to bohea tea of Wuyishan district and reached out to Xiamei Village, making it the biggest tea collection and distribution center of Wuyishan and the starting point of ancient tea road from northern Fujian to Moscow of Russia, and later to other parts of Europe. With the opening of Fuzhou and Guangzhou ports, the bohea tea of Xiamei Village was also shipped to all over southeast Asia, with the southern tea road of over 1000 km. 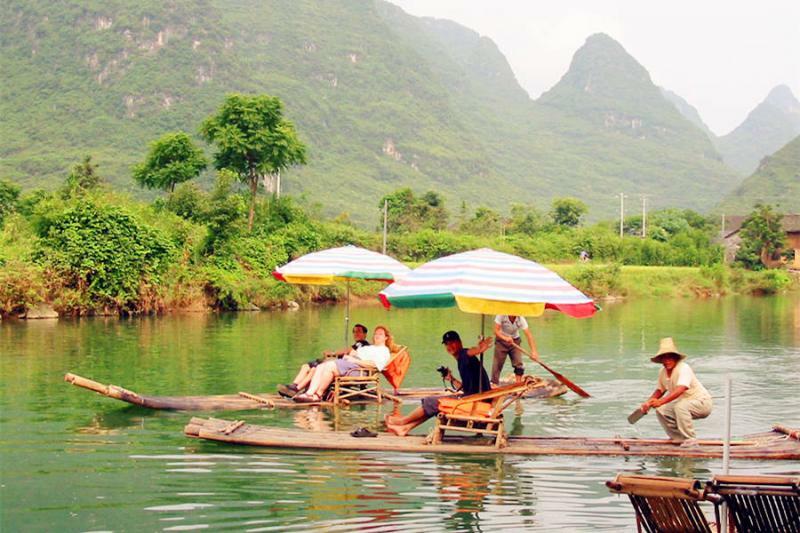 Today, villagers of Xiamei take agricultural farming as the main production. They also plant tea on the rolling hills. 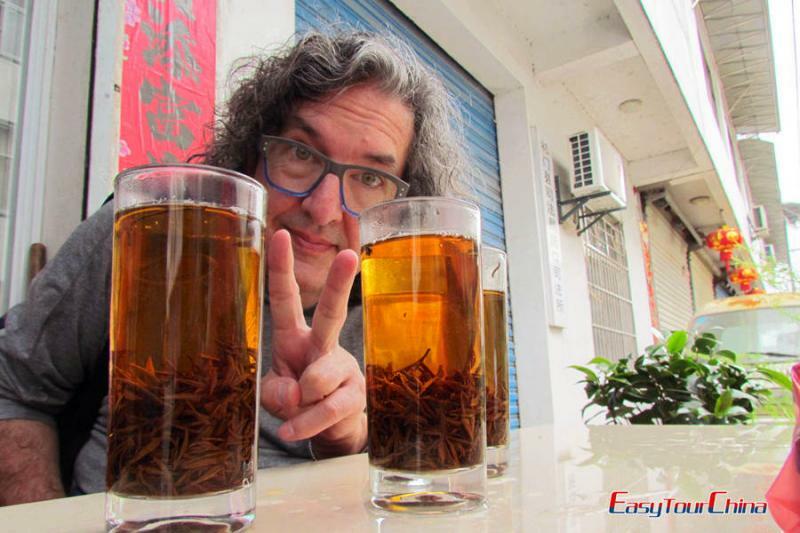 A delightful visit to Xiamei Village should not omit the vast tea farm, by experiencing in picking tea, rolling and curing tea leaves, then brewing tea and taking in a light or mellow aroma of different sorts of tea.